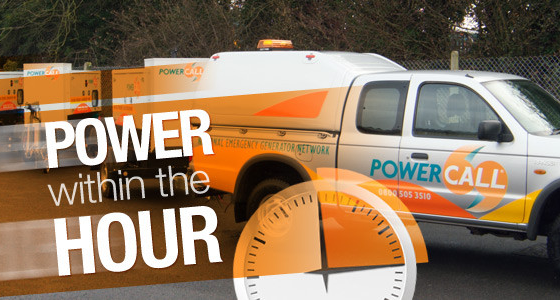 For organisations that cannot justify a permanent standby diesel generator, shentongroup’s PowerCall is the ‘Power within the hour’ emergency generator service that, as the name suggests, aims to restore power within one hour, guaranteed within just 3. With depots throughout the UK, in the event of a power outage, our truly nationwide network of engineers are on-call 24 hours-per-day, 365 days-per-year and will swiftly reinstate your power, keeping your organisation operational until mains power is stabilised. The record for this is a staggering 23 minutes! Having received 49 reactive and planned callouts to date, to ensure the continuing reliability of the PowerCall service, shentongroup has recently completed a full refurbishment of the PowerCall generator fleet. If your organisation depends on continuous power but doesn’t need a permanent on-site generator, click here to speak to a member of the UK’s leading technical experts in standby power, uninterruptible power supplies and combined heat & power systems.